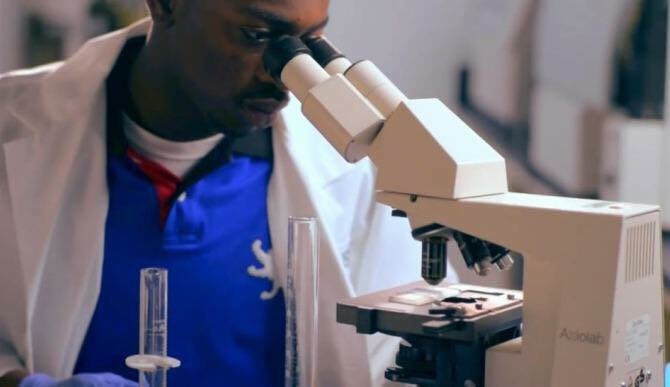 20-year-old Keven Stonewall just completed his sophomore year at the University of Wisconsin, but unlike most college kids, he’s been billed as the great hope to cure colon cancer. 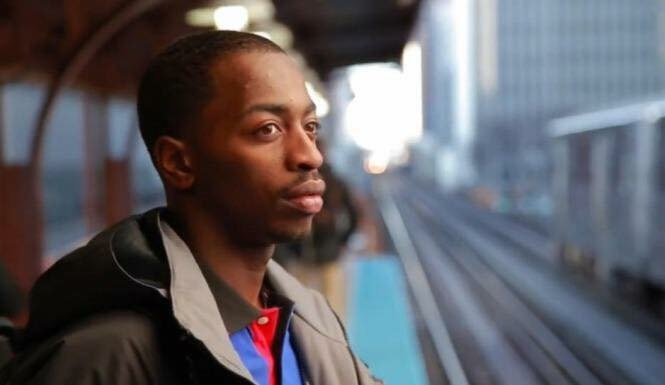 Stonewall, who grew up on Chicago’s South Side, interned at Rush University while still in high school at the Chicago High School for Agricultural Sciences and since then, the results of his experiments have earned him numerous awards. The son of two Chicago Public School teachers, Stonewall first fell in love with science in fifth grade while in class at the Chicago International Charter School’s Wrightwood Campus. That year, he asked family members for a microscope for Christmas and received four of them. Since then, Stonewall has done research that has been characterized by science leaders as ground-breaking, thus forging the prediction that he will indeed one day lead the way to a cure for colon cancer. The Chicago Ambassador caught up with Stonewall recently, who is currently home for the summer before returning to Wisconsin to start his junior year as a microbiology major. CA) Like it or not, do you realize that you’re a role model? STONEWALL) I hope I’m doing something right. That’s all I try to do. CA) Is it a role that you accept? STONEWALL) I’ve definitely accepted it. I had role models growing up and I understand the role of a role model. It’s an honor. CA) Who would you say made the biggest impact in your life when you were growing up? STONEWALL) My parents definitely played a big part in who I am now. I can say one person who really shaped my science career was my mentor in the lab, Dr. Carl Ruby (his lab director at Rush University lab, where he worked during his senior year of high school). He walked me through all the technical terms; science basically has its own language. I was coming from high school biology at the time. He sat down and went through a lot of things with me. CA) You’re back in Chicago for the summer? STONEWALL) Yes, I’m working for a biotech company right now for the summer. CA) You’ve been billed as the 20-year-old that’s going to cure colon cancer. Does that pressure ever get to you? STONEWALL) I’m aware of the title that my name is associated with. As long as it leads to the the eradication of cancer as a whole, I’m fine with that. I know it’s a lot of pressure, but as long as I don’t get ahead of myself and stay focused things will be fine. CA) You grew up in Ashburn on the South Side, where unfortunately most stories that make the news about African American men are negative. Does it bother you that you’re considered a stereo-type breaker? STONEWALL) I try to generate positivity. I’m aware of the violence, it’s ridiculous. That’s one thing that I hope my story does — inspire people to do something different. I’m from the same area where a lot of those guys are from and I’m grateful now that I didn’t always follow the crowd. If I did, God knows where I’d be today. CA) What was the major difference, was it your parents? STONEWALL) My parents definitely. At an early age I was always thinking for myself and to myself. I wasn’t a loner, but I just knew in my mind that I wasn’t going to follow the crowd. I remember when I was young I thought, ‘I have a goal, and to achieve that goal I need to stay focused and stay out of trouble.’ I was occupied, I played baseball and other things and that helped. CA) You fell in love with science when you were in fifth-grade? STONEWALL) Yeah. We had a class with microscopes and I fell in love with them. I went and asked my parents for one for Christmas. CA) What was it that drew you towards fighting colon cancer? STONEWALL) When I first started doing research, I wanted to focus on cancer in general. What drew me to colon cancer was that I thought it was ridiculous how much of a disparity there was in the ages of those stricken with it. It’s generally considered an older person’s disease, but it also can be a younger person’s disease. CA) I understand that you had a friend who had an uncle that had colon cancer, correct? STONEWALL) Yes, well, he died from cancer, not colon cancer. But that sparked it from there. It motivated me to focus on cancer as a whole, and then I saw how his uncle’s disease affected my friend as a student. It made me want to do something about it. I wasn’t afraid to step up into that role, because my parents always taught me to be brave and do what you have to do. CA) You’ve won a few awards and gotten some recognition. What would you say is your proudest moment so far? CA) Outside of being in the lab and your science work, what other things do you like to do? STONEWALL) I like to hang out with my friends. You can’t just focused on one area. I try to be as well-balanced as possible. I’m reminding myself of that lately. I work out, I hang out with friends downtown, I’m a regular college kid. That’s a big reason I picked Wisconsin. I know the academics are there and the research opportunities are amazing, but there’s that social life there. Keven Stonewall outside of the lab. CA) I know you have a couple years left at Wisconsin, but have you considered what you want to do after graduation? STONEWALL) Medical school is a big plan. I’m always going through life with an open mind also. I’m open to anything, wherever the possibilities and opportunities take me. CA) We’ll be keeping tabs on you and be looking for big things in the future from you.